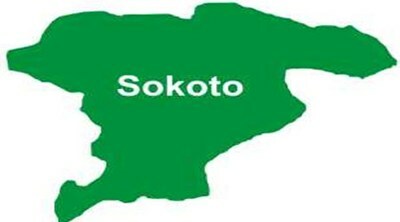 The Police and Federal Road Safety Corps (FRSC) in Sokoto State on Thursday said they recorded crime and accidents free on the highways during Eid-el-Kabir festivities. The Commissioner of Police, Sokoto State Command, Mr Murtala Mani and the FRSC spokesman, Mr Aliyu Garba, spoke with the News Agency of Nigeria (NAN) in Sokoto. Mani, who spoke through the police command’s spokesperson, DSP Cordelia Nwawe, said that policemen were deployed to various locations in the state during the period to maintain law and order. He said that the command was committed to live up to the expectations of safeguarding the lives and property. Mani urged the public to always assist the police with necessary information on any suspicious movement. Also, the FRSC Public Relations Officer in Sokoto, told NAN that no road crash was recorded during the Sallah celebrations. Garba said that the stakeholders’ meetings comprising sister security agencies, religious groups and voluntarily organisations, as part of collaborative strategies, were conducted before the celebrations. The FRSC spokesman said that the measures greatly facilitated the successes recorded during the festive period. He said that officials of the corps were stationed to control traffic at various locations in the metropolis and local government areas, while drivers and other road users were enjoined to respect traffic rules. Garba said that drivers were cautioned against speeding, dangerous driving, overloading, which he said, were major causes of road crashes. He urged vehicle owners to always put their vehicles in proper condition and ensure that their screens and tyres were functioning well before embarking on a journey.